Catherine Otto is Editor-in-Chief of Heart, the official journal of the British Cardiovascular Society. She holds the J. Ward Kennedy-Hamilton Endowed Chair in Cardiology, Professor of Medicine at the University of Washington (UW) School of Medicine in Seattle, Washington. She was Director of the Cardiology Fellowship Training Program for 20 years and currently is Director of the Heart Valve Clinic. Dr. Otto is recognized as an expert on calcific aortic valve disease. Dr. Otto?s research has transformed our understanding of this disease process, showing that it is an active disease process that may be amenable to medical therapy, rather than being an inevitable consequence of aging. Her research on the aortic valve includes validation of noninvasive measures of disease severity, the first prospective study of disease progression, immunohistologic studies establishing the cellular and molecular mechanisms of valve disease, epidemiologic studies defining the clinical risk factors associated with calcific valve disease and a landmark study demonstrating that even mild valve thickening, called aortic sclerosis, is associated with adverse cardiovascular outcomes. She received for the 2011 American College of Cardiology Distinguished Scientist Award (Clinical Domain) for this research. 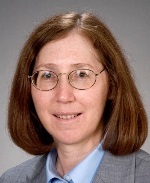 Dr. Otto has received numerous other awards including the 2008 UW School of Medicine Award for Excellence in Mentoring Women and Minorities, the 2011 Teamwork, Leadership and Caring Award from the UW Medical Center, and the 2013 UW School of Medicine Distinguished Alumni Award. She is a Fellow of the American Heart Association, American College of Cardiology and European Society of Cardiology. In addition, Dr. Otto is the author of several cardiology books: The Textbook of Clinical Echocardiography (5th Edition, 2013), The Practice of Clinical Echocardiography (4th Edition, 2012), Atlas of Intraoperative Echocardiography (with Don Oxorn) and the Echocardiography Review Guide (3rd Edition with Rosario Freeman and Becky Schwaegler). She also is a Cardiology Editor-in-Chief for the online medical textbook Up-to-Date. Her book Valvular Heart Disease (4th Edition, co-edited by Robert O. Bonow, MD) was awarded First Prize in the BMA Medical Book Awards for 2014.